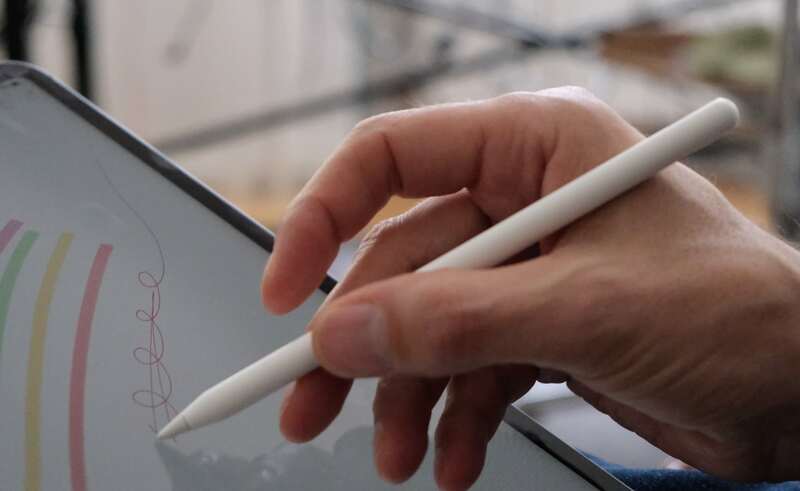 Apple Pencil is an essential accessory for any iPad owner who likes to write and draw. It’s also the best stylus money can buy for iOS, offering incredibly accuracy, terrific pressure-sensitivity, and great battery life. Want to learn some coding magic? The Harry Potter Coding Kit helps kids learn how to build their own apps. 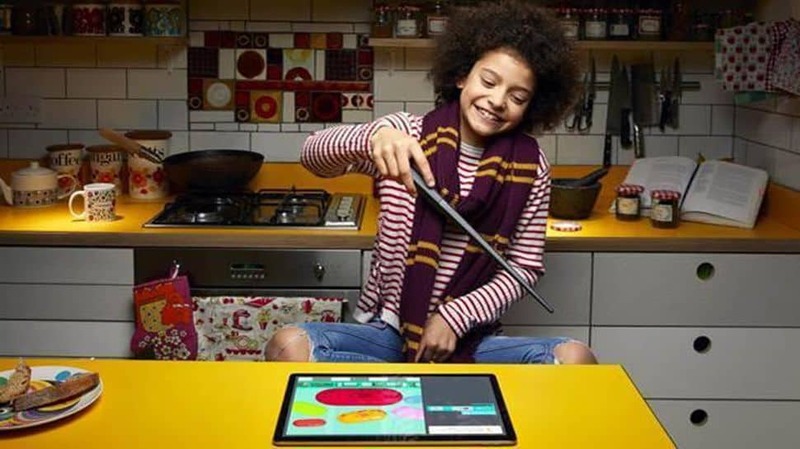 They’ll assemble their very own sensor-filled, gesture-sensing wand, which they can then use to complete 99 different coding challenges on a companion iPad app. Shattered screens could be a thing of the past. The UE Boom 3 Bluetooth speaker packs great new features into a sophisticated package. Ultimate Ears’ Boom 3 takes a great Bluetooth speaker and makes it better — and cheaper! 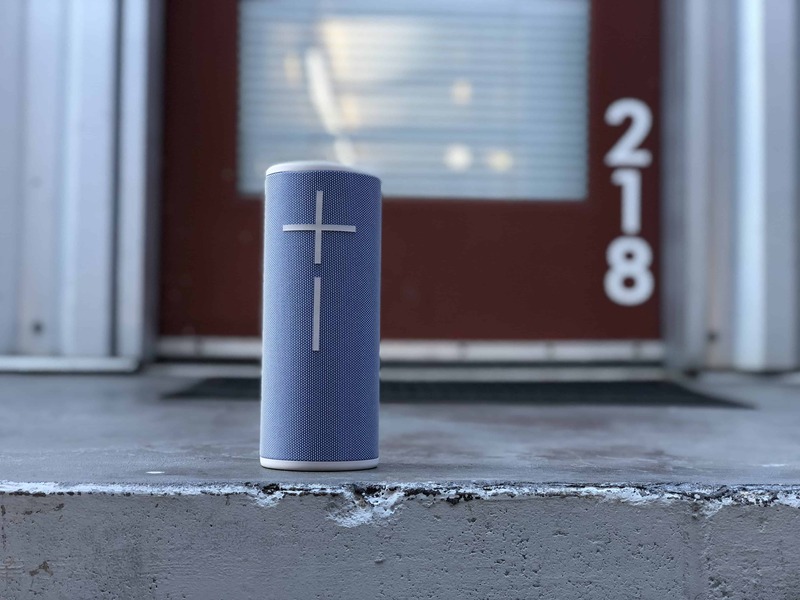 About the size of a 16-ounce beer, the cylindrical speaker pumps out quality audio and works like a charm. A new Magic Button puts Apple Music playlists conveniently at your fingertips, and the speaker works with UE’s optional (and highly recommended) Power Up charging dock. Plus, these dust-proof, waterproof and drop-proof speakers can take just about anything your adventurous lifestyle can dish out. Every game is better with physical controls. 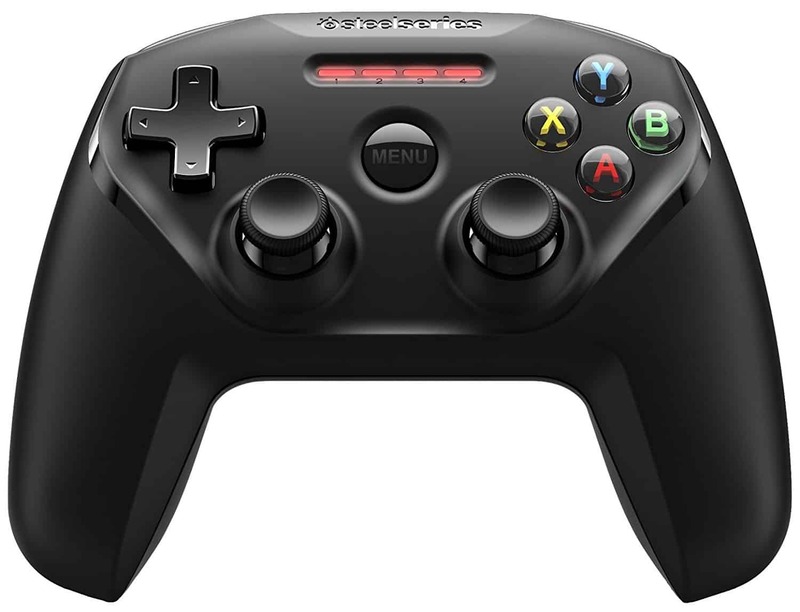 For those who play games on their iPad, the SteelSeries Nimbus wireless controller is a must. 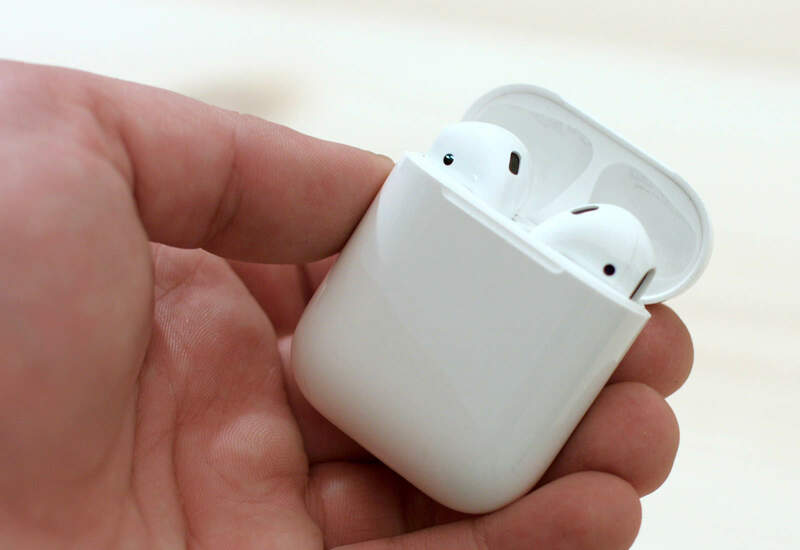 Its traditional design makes it a joy to hold even for long periods, while its built-in battery keeps going for up to 40 hours on a single charge — and can be topped up with a Lightning cable. It has all the buttons required for iOS games, pressure-sensitivity for precise control, and console-style analog sticks. This Bluetooth keyboard from Anker is perfect for pairing with an iPad (or any other device) when on the go. 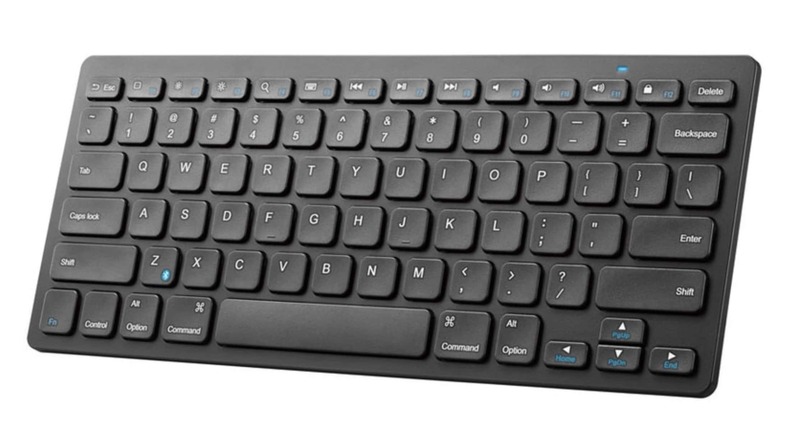 It offers a full function row (with media controls and escape key), allowing full keyboard functionality. Its rechargeable battery lasts for six months of daily use and can also be charged while in use. 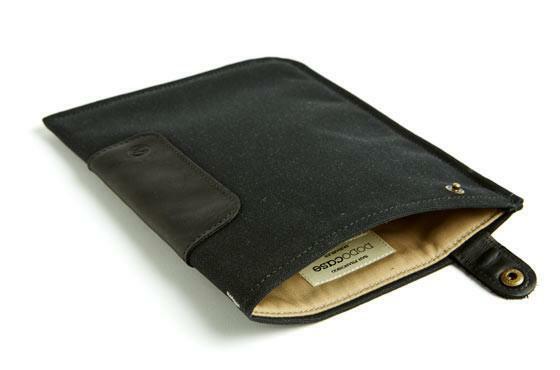 The slim design fits in almost any backpack or computer bag while leaving each device free from bulky cases. All around protection for every situation. 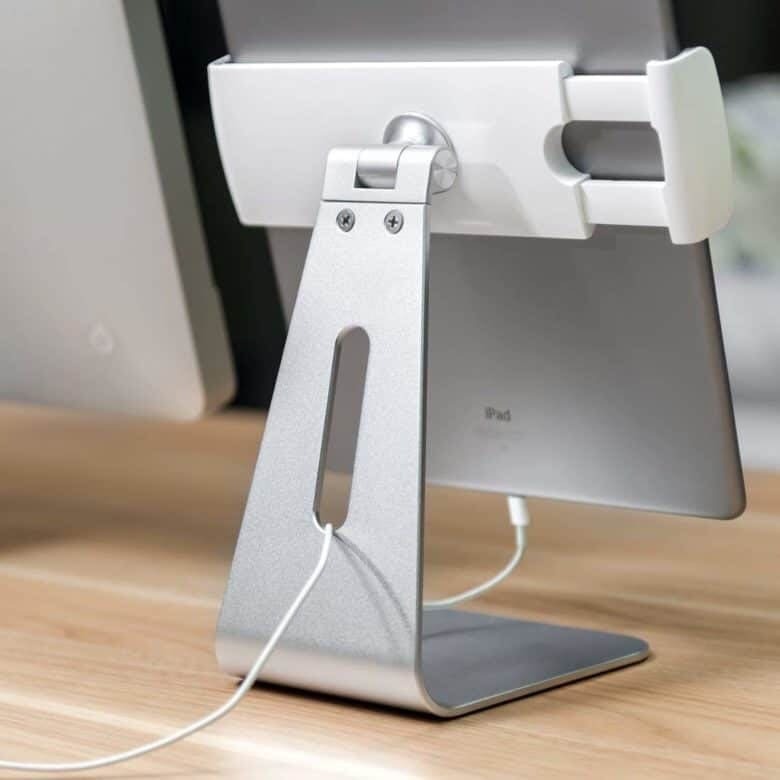 This iPad stand could have been made by Apple. Ever looked at your iPad and thought “It’d be rad if it looked like a tiny iMac”? No? It doesn’t matter, because you’ll love the Abovetek iPad stand anyway. It’s a super-sturdy aluminum bracket with a set of rotating, silicone-lined jaws that clamp the iPad gently but firmly into place.